Allegra Boverman/Gloucester Daily Times. 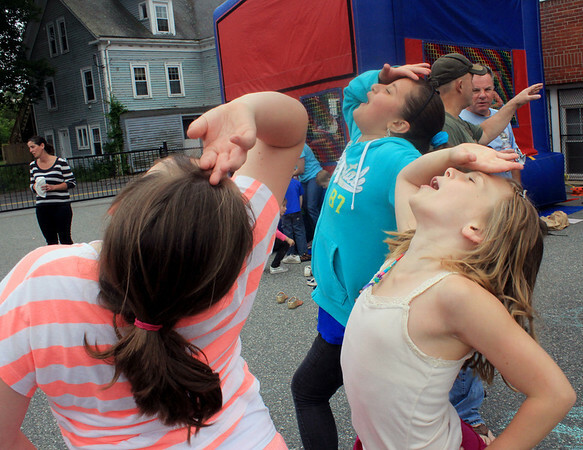 Dancing around doing "The Strut" in the St. Ann School yard on Thursday during a school-wide party are, from left: Mia Wheeler, a fourth grader, Sophia Pregent, right, a third grader, and Shayla Silva, a fourth grader, center back. The school closes on Friday.